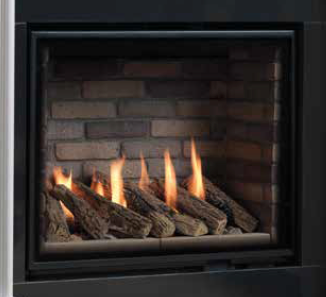 Suitable for fireplace settings or hole-in-the-wall applications, the Ethos 750 Portrait is a versatile high efficiency appliance manufactured to the highest specification. An industry leading efficiency of 82.3%, combined with a meticulous manufacturing process, means the Ethos 750 is your perfect choice for contemporary or traditional inspired projects. Remote control and high definition, detailed logs are standard. A driftwood/pebble fuel effect is a contemporary option if required.